The idea behind the workshop by Fortis Healthcare was to generate awareness among the young surgeons to use robotic surgery to treat oral cancer, throat cancer, and thyroid nodules. Live 3D surgery being transmitted during the workshop. Bengaluru: Fortis Hospitals conducts a workshop on Head and Neck Robotic Onco-surgery, MASOCON-2019 to impart best of knowledge and understanding around advanced surgical modalities of treatment in the oncology vertical for surgeons. 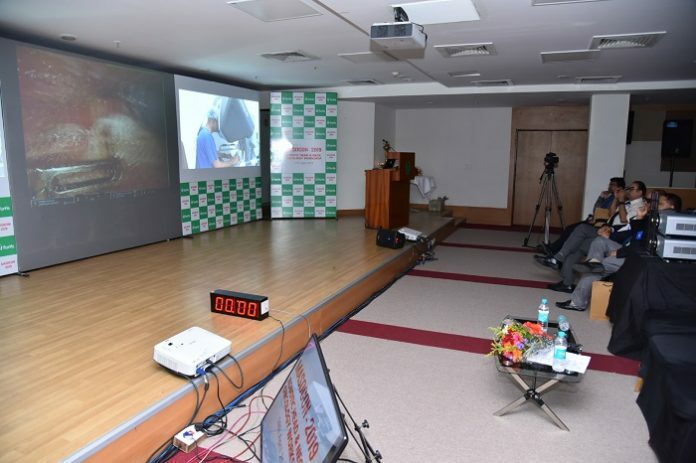 Around 150 surgeons took part in the workshop headed by Dr Sandeep Nayak, Consultant- Surgical Oncology, Fortis Hospitals, Bangalore and a few thousand watched it online worldwide. 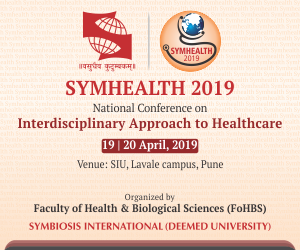 The workshop transmitted live specialized surgeries called Robotic Assisted Breast-Axillo Insufflated Thyroidectomy (RABIT) & Robotic Minimally Invasive Neck Dissection (R-MIND) for oral cancer, which are newly devised surgeries by Dr Sandeep Nayak. These are being demonstrated for the first time in the world in this workshop.